On a balmy, August morning, a couple wandered away from a booth selling fresh shrimp caught from Randon Dufrene&apos;s family boat, Mister Jug. "It was nice to meet y’all," the Jean Lafitte fisherman told the pair. On Saturday mornings at the Lafayette Farmers and Artisan Market at the Horse Farm, Dufrene and dozens of local artisans, growers, craftsman, gourmet food vendors and musicians set up shop at Lafayette&apos;s central park, rain or shine. It was especially humid this particular morning, but that didn&apos;t stop droves of weekly regulars and visiting newcomers to this open-air market. National Farmers Market Week was celebrated earlier this month, honoring these weekly and monthly community events that go beyond providing seasonal, locally grown produce and crafted goods from small businesses to shoppers. Along with highlighting local resources, farmers markets offer a place for families and friends to connect. I see plenty of familiar faces (I often recognize their dogs first) during each visit. 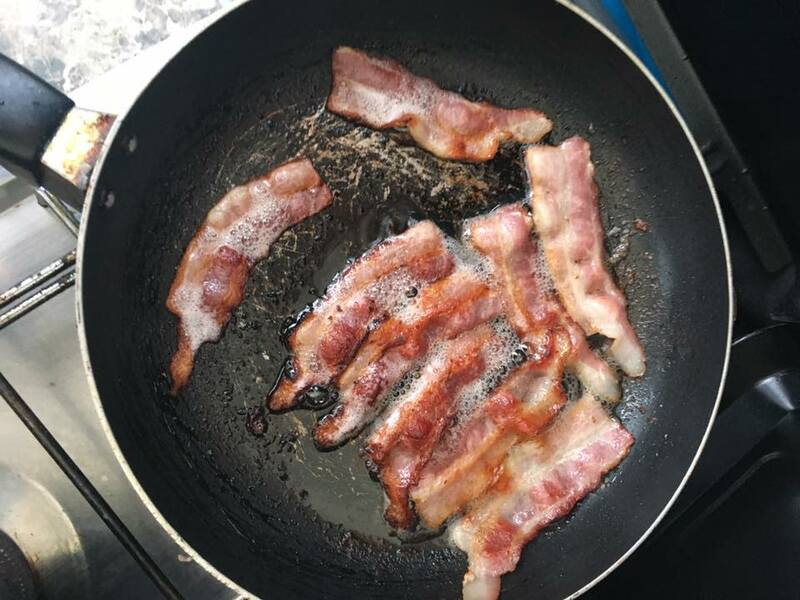 “Want to try some bacon?” Chef Paul Ayo, one of those familiar faces, said from his booth that Saturday morning. Of course, I did. Ayo, a longtime chef in the area, said he started experimenting with two simple ingredients, raw sugar and pepper. He cures the pork for three days before it is smoked with maple wood for up to 10 hours. Needless to say, a sample wasn’t enough. Down the gravel path was Melissa Lenner was offering a lighter, much different, option than the fried pork sample still taunting me for another taste. Her company “Let the Good Nosh Roll” offers vegan and paleo “sushi” with clean ingredients and no rice filler. And she was definitely doing it right that morning with her samples of no-meat “tu-nah” rolls. From sweet treats, savory servings, beautifully crafted artisan jewelry, this market has something for everyone all under a canopy of oaks. The horse farm, the market’s home venue, got it’s now nickname quite literally because it was once a 100-acre horse farm in the heart of the city. A grassroots movement saved the property, now officially titled Moncus Park at the Horse Farm, from becoming developed into retail space. The movement convinced city officials that it was worthy of being transformed into a city park. Today, it is a beloved Hub City gem. And that’s not the only local farmers market with fascinating origin. Drive about 25 southwest and you’ll find some of the freshest seafood around. In fact, you can buy it right off the boats from the fisherman who made the catch. The town of Delcambre lies directly between Iberia and Vermilion parishes with access to the Vermilion Bay, which opens up to the Gulf of Mexico. 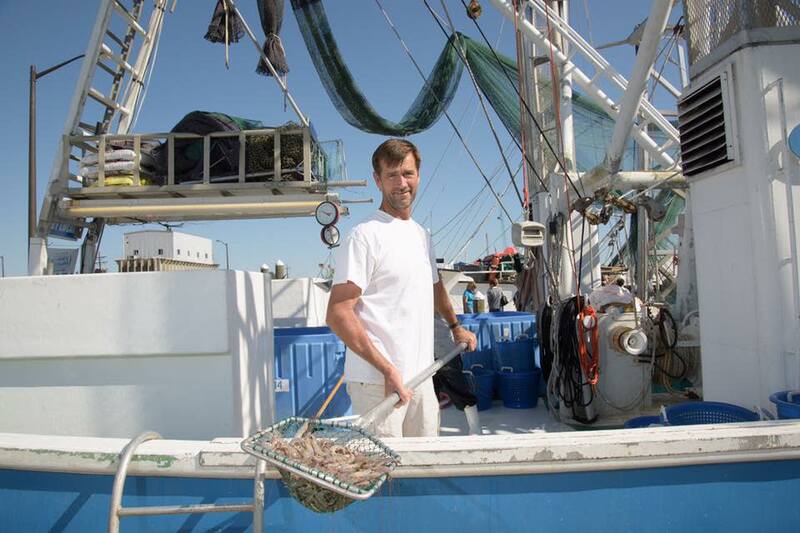 It’s home of the annual Shrimp Festival and to generations of fisherman who have weathered catastrophic storms, economic turmoil and a devastating oil spill seven years ago. And in classic South Louisiana fashion, this community keeps moving forward, now with a direct dockside seafood operation and a vibrant farmers market held on the first of each month. The Delcambre Seafood and Farmers Market made its debut a few years ago with a brand new waterfront pavilion. Along with the monthly market, DelcambreDirectSeafood.com can put you in touch with daily local catches sold straight from the dock. Moving north, the city of Opelousas&apos; Music and Market series kicks off every spring and fall on Friday nights. 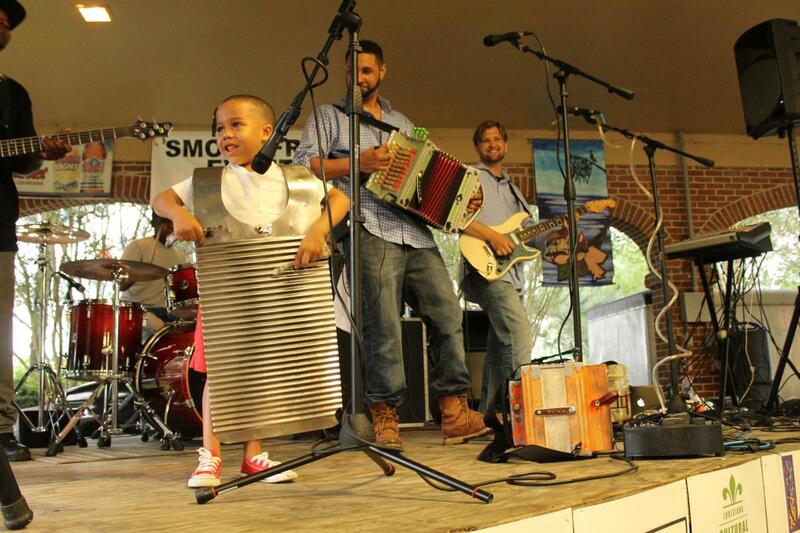 At the Le Vieux Village&apos;s pavilion from 5:30 to 8:30 p.m. each week, different Cajun and Zydeco bands perform as vendors sell seasonal bounties of produce from mustard greens and yams to sweet dough pies and more. No matter what you&apos;ve come for, there&apos;s going to be a party at the end of each week, which is why it remains on of my favorite local events. *Note, this list is subject to change. Be sure to check with individual, potentially seasonal markets before planning your trip. Lafayette Farmers and Artisan Market at the Horse Farm, year-round, 8 a.m. to 12 p.m., 2913 Johnston St., Lafayette. Hub City Farmers Market, year-round, Saturdays from 8 a.m. to noon, 427 Heymann St, Lafayette. Abbeville Farmers Market, seasonal, Saturday, 8 a.m. to 1 p.m., 200 Magdalen Square St., Abbeville. Delcambre Seafood and Farmers Market, seasonal, on the first Saturday of each month, Bayou Carlin Cove, 605 S. S. Railroad St., Delcambre. Eunice Farmers Market, year-round, Wednesday from 3 p.m. to 6 p.m., Saturdays at 10 a.m., 2nd Street and Park Avenue, Eunice. Kaplan Farmers Market, year-round, second Saturday of each month, 8 a.m, 119 N. Irving Ave., Kaplan. Sunrise Saturdays in Sunset- The Farmers Market, each Saturday from 8 a.m. to noon, 832, Napoleon Ave., Sunset. Opelousas Farmer Market, Tuesday, Thursday, Saturday, from 6:30 a.m. to 11 a.m., Farmers Market Pavilion, 828 East Landry St., Opelousas. Music & Market, seasonal, Fridays from 5:30 to 8:30 p.m., 828 East Landry St., Opelousas. 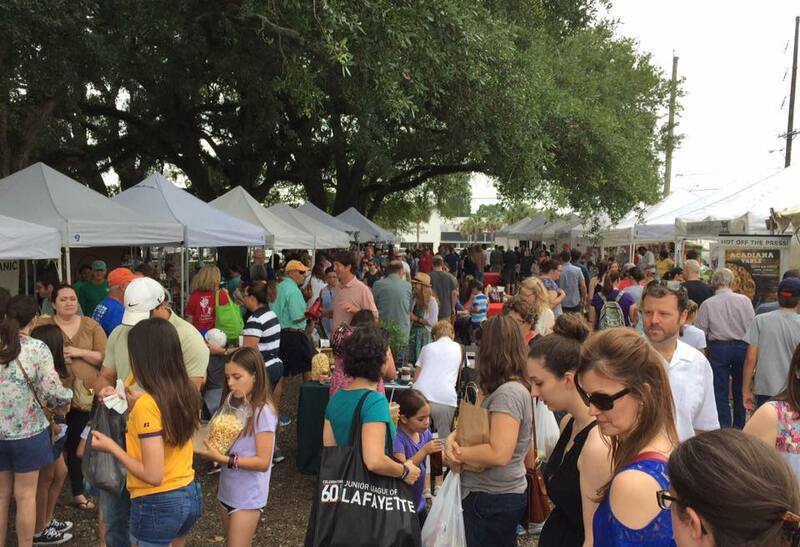 Bayou Teche Farmers Market, year-round, Saturdays from 9 a.m. to 1 p.m., 203 New Market St., St. Martinville.